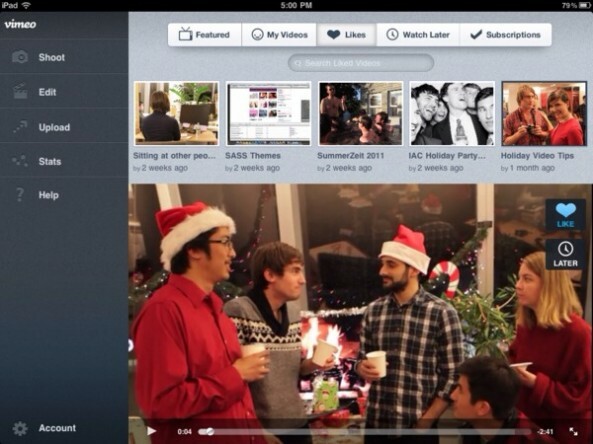 The popular video service, Vimeo has plans to launch an iPad application before the end of January. The iPhone version of this application was released a while back and featured on-the-go uploading and basic video editing. Taking a look at the images, the iPad version will be much different from the iPhone version, as it looks to be sporting a completely new interface. The iPad version of this app will also allow you to browse your friends’ content or browse popular Vimeo videos. Full HD streaming on the Apple slate, [including] an editor with access to the Vimeo Music Store, browse-while-watching capabilities and functions of the regular ol’ apps. There is no release date for this application yet but we will keep you posted.